A practical fabric storage pot freehand machine embroidered with our Jack Russell design. 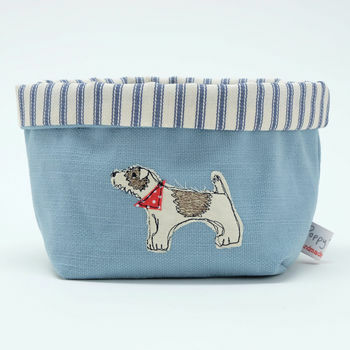 This lovely duck egg blue pot features an individually embroidered jack russell and a traditional blue ticking lining. 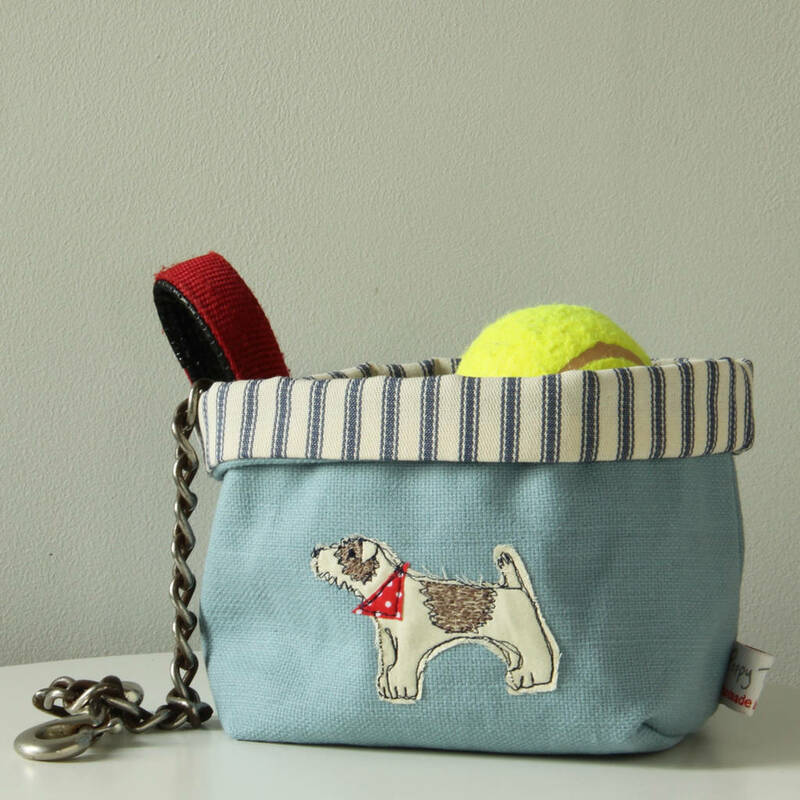 We think it would be perfect for storing all your pooch related paraphernalia! These make great gifts, paired with some sweets, some soaps or a little succulent. 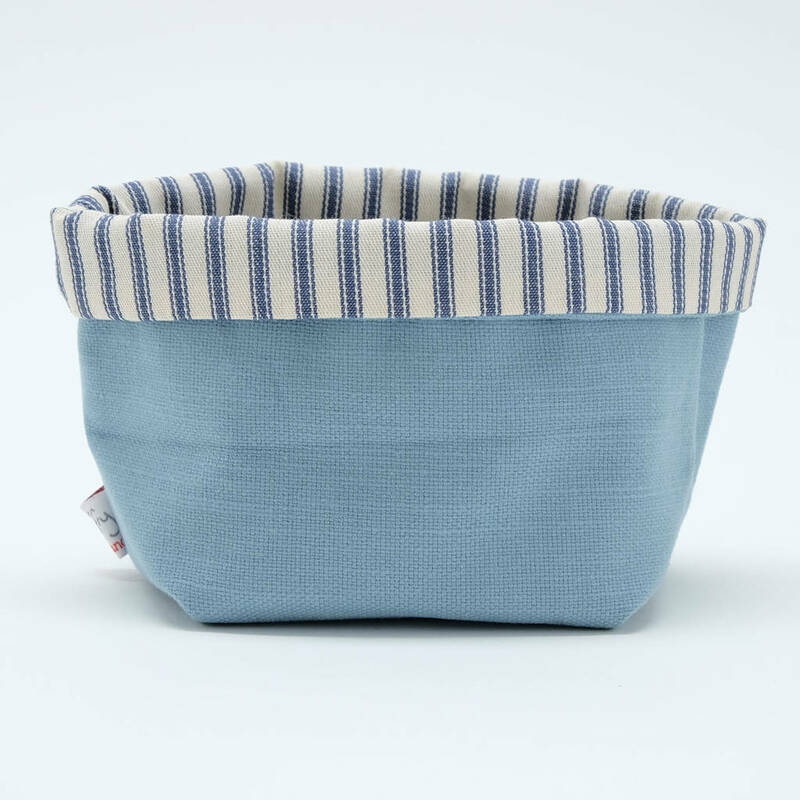 Our smaller embroidered storage pots look great with the larger printed storage pots on a shelf. Each of our pots are individually made with care and attention by our small team of stitchers in Cornwall. Check out our store for more storage pot designs. This product is dispatched to you by Poppy Treffry.